Sifting through all of the free sites and services available on the Web, you've probably come up with some favorites, such as instant messaging tools or video streaming sites like Hulu. Those are great, but what about freebies that displace something for which you usually pay? Think beyond free antivirus software and other no-cost PC utilities--how would you like free long-distance calling, MP3 downloads, e-books, and text messaging? I'll show you how to score those and more. Some of these offerings, such as free services for making and receiving faxes, are for an introductory level of a paid product. Others are ad-supported or public services. But each one is a compelling way to get something, for free, that ordinarily costs you money. In many cases you'll get just as much as what you used to pay for--or more. Talkster adds your country-code prefix automatically. You enter the regular phone numbers. Sure, you can voice-chat around the world through Skype and other services. 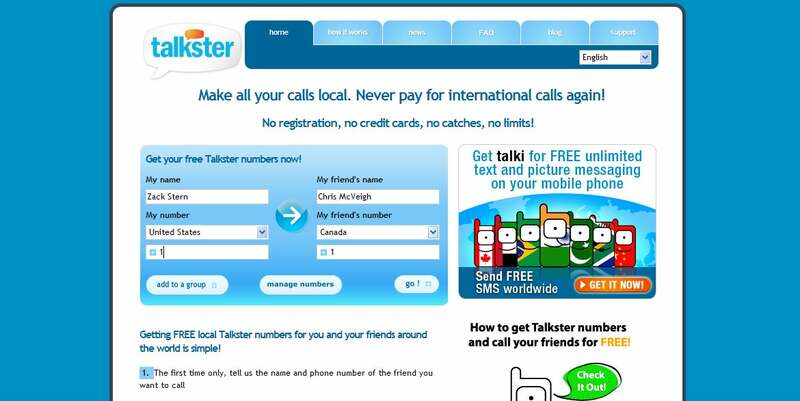 But Talkster lets you reach out and touch an actual telephone in addition to online calling options. Free long-distance and international calls are worth putting up with a couple drawbacks. The service requires you to perform a convoluted dialing procedure: It gives you a special local number to reach a faraway friend, and your pal gets a local number too. You dial your local number, after which you have 10 seconds to tell your buddy to call back on their local number. You stay on the line and wait while they hang up and dial back. You might hear an ad while waiting to connect again, but the two of you can talk as long as you want after the hook-up is complete. I thought calls sounded good, although one call recipient questioned the quality. 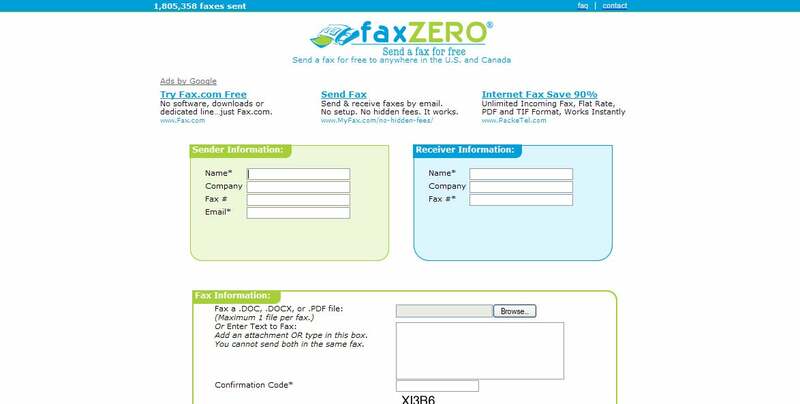 Enter basic sender and recipient data, and click Browse to upload a Word doc or PDF to FaxZero. Do you need to send faxes just once in a while? Ditch the fax machine and the trips to Kinko's, and use free-to-try online services such as Qipit and FaxZero. Qipit lets you send up to five faxes each week for free. You can upload JPEG images or even send them directly from a camera phone. Free faxes include a header banner that mentions Qipit. FaxZero limits you to two faxes of three pages each day, and its transmissions include a FaxZero-branded coversheet. But instead of sending images, FaxZero takes PDFs and Word documents, making it a better choice for PC-based use. 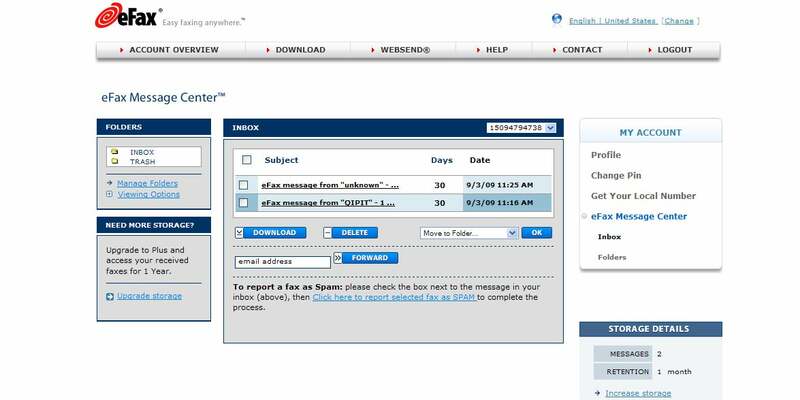 Faxes will arrive directly in your e-mail box, or you can view and delete them though eFax online. You can even cancel your dedicated incoming fax line and have people send physical faxes to you online. eFax Free handles everything, digitizing faxes and routing them to your e-mail account. You get a free phone number that is connected to eFax and is always listening for incoming calls. eFax Free has a few limitations, however. You don't get to pick an area code for the incoming number, and you can't receive more than 100 pages each month. Plus, you have to read faxes in an eFax application, in its proprietary .efx format. (Paying subscribers can select an area code, receive more faxes, and read them as PDFs.) But for moderate use, eFax Free works well. Most chat and videoconferencing programs are free when your conversation remains between two people, but they charge you to add more. Instant messaging and videoconferencing tool TokBox blasts past that limitation, restricted only by your bandwidth. Since TokBox interfaces with your camera through the browser, click Allow and Close to give permission. When you begin a videoconference in TokBox, you can automatically add contacts who are on AIM, Yahoo Messenger, and other supported services. Even better, however, your contacts can join the videoconference in a Web browser, just by following a URL. They don't need to install an application, and the TokBox Web site automatically interfaces with each PC's Webcam. Just start a conference, and click Invite, Share Link to get the URL. Just enter a numerical code and your e-mail address to immediately begin a conference in Rondee. Running a meeting on a shoestring? Just want to organize a family call across the country? Rondee provides free conference calls for up to 50 people, and it offers several great extras. You can launch a conference call immediately, simply by notifying your participants and giving them a Rondee PIN. But if you plan a call in advance, the service will send calendar-compatible e-mail invitations (with all call-in details) and make a list of replies. It'll even provide a nonspeaking access code, too, so that you can invite people to listen but not talk. You can activate voice recording for calls planned in advance, as well. After everyone hangs up, participants receive e-mail instructions for downloading the meeting as an MP3 file. Does your mobile phone carrier gouge you for directory-assistance calls? Instead of dialing 411, try Google 411. Dial 800/466-4411 (800/GOOG-411). The voice-recognition tool looks up numbers, addresses, nearby businesses, and more for free.